Some of the ground-breaking research being conducted at City, University of London has been showcased with the finals of two competitions. The Research and Enterprise team announced the winners of the 2018 editions of the Images of Research Competition and the Enterprise Showcase. The Images of Research competition is a simple yet powerful concept to showcase the marvellous diversity of research activities across the university. Staff are challenged to capture their entire research project in a single image, in a form understandable by a general audience. Up to five prizes of £1000 worth of vouchers are available to each winning team. “We were inundated with a wealth of high quality images representing the diversity of the world-leading research being carried out at City. The judges had a very difficult time in choosing the winners. They selected five images which they felt really captured the essence of often complex research projects in an accessible way. We look forward to using these images to help promote City’s excellent research”. “The image shows the interaction on Twitter between bots and real users during the U.K. E.U. membership referendum. Bots or automated accounts are often used as sockpuppets, which are false online identities used to voice opinions and manipulate public opinion while pretending to be another person. 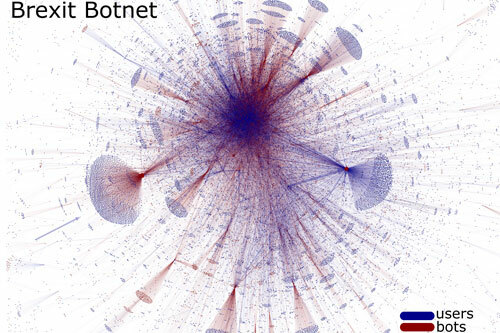 The hub and spoke formations shown in the network result from the large volume of retweets triggered by bots, which are effective at rapidly generating cascades”. 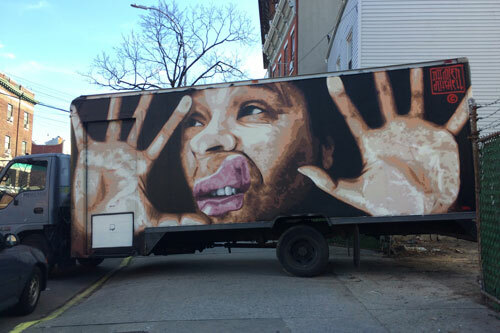 “This picture shows a street artwork spray-painted in December 2016 by the New York based artist Damien Mitchell, whom I interviewed in Brooklyn in November 2016 in the context of my legal and ethnographic research on copyright protection of street art and graffiti”. Enrico's research explores whether street artists and graffiti writers understand the importance of protecting their creativity and how they can do it using legal frameworks. “'Fluid transport induced by artificial cilia' is based on his biologically-inspired research into aerodynamics. He and his colleagues are examining artificial cilia (cilia are the microscopic, hair-like structures that line the surface of cells and move in a coordinated flow to move mucous from the lungs towards the throat, for example). The white lines in the winning image show the superposition of images taken from particles in the flow which are illuminated with a strobe light. 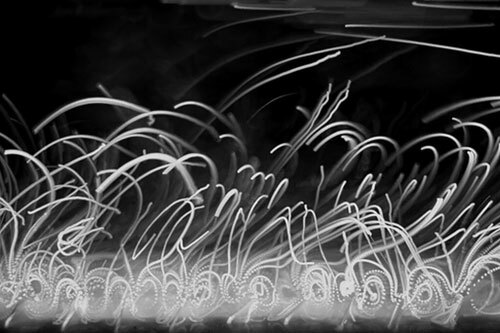 Their motion is recorded using a long-term exposure technique. The artistic loops indicate the mixing and transport which is observed in a similar way along the airways of the human lungs lined with cilia". “I represent MONA UK which is the UK branch of The Mona Foundation which provides sanctuary for rescued chimpanzees, and other primates, where they can live out their lives in the most natural environment possible. The primates in our care have all been rescued from abusive or unsuitable situations. Many from the pet trade or entertainment industries where they are likely to have lived through extremely traumatic events like seeing their family killed or suffering physical abuse. MONA aims to rehabilitate these animals, and as they cannot be returned to the wild, provide them with lifetime care and support. 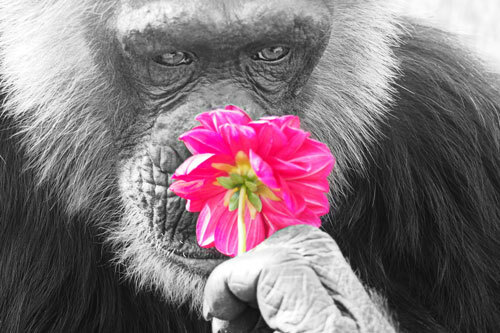 As part of my PhD I conducted three studies exploring several behavioural and physiological measurements of the differences and similarities between human and chimpanzee brain activity”. Desperatio (Piano Piece No. 5), for pianist with accompanying film, was written as part of a collection of short new piano pieces to celebrate Ian Pace’s 50th birthday, extending a thirteen-year collaboration between Pace and composer/photographic artist Patrícia Sucena de Almeida. 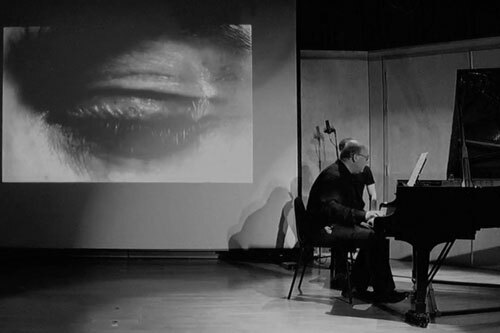 It features a film together combined with piano writing exploring gesture as well as sound, involving the pianist making exaggerated hand gestures for some of the sounds, to be contrasted with more regular approaches to the instrument, as a form of experimental music-theatre building upon Ian Pace’s own distinctive choreographic approach to the piano. Innovation and Enterprise are the key to progressing research projects in the commercial market. Academics are invited to submit entries which are then assessed for commercial viability, intellectual property position and market potential. The winners of the Enterprise Showcase competition receive funding to support their projects and mentorship from Academic Enterprise colleagues. Alfredo Camara from the School of Mathematics, Computer Science and Engineering, was awarded £25,000 for his project proposal – ‘Self-adaptable rails for traffic and bridge protection under high winds’. Miodrag Vidakovic from the School of Mathematics, Computer Science and Engineering, was awarded £25,000 to explore ‘Intelligent Pantographs for Next-Generation Railways’. The projects will last for 12 months.